RIOT V – Third Album Trailer Released! Cult New York heavy metal band and godfathers of power metal, RIOT V, will release their 16th album entitled, Armor Of Light, on April 27th via Nuclear Blast. The album will be available on colored vinyl (black, silver, red) 2-LP in gatefold and as a limited CD-Digipak-Edition, both including the two bonus tracks “Unbelief” as well as a new recorded version of their classic hymn “Thundersteel”. 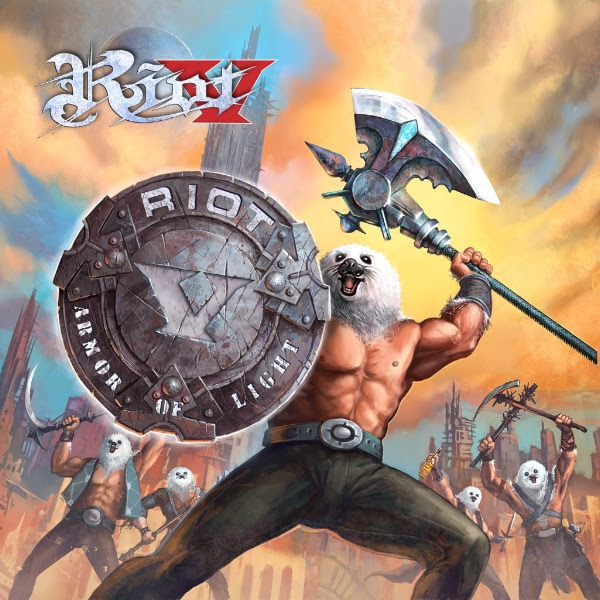 Last week, RIOT V released the first single off the new album: “Victory”. The new songs promises to please fans of the Thundersteel-era of RIOT, as main song writer and long time Mark Reale music collaborator Don Van Stavern undertakes a lot of the writing as he did onThundersteel, The Privilege Of Power and the latest offering Unleash The Fire.